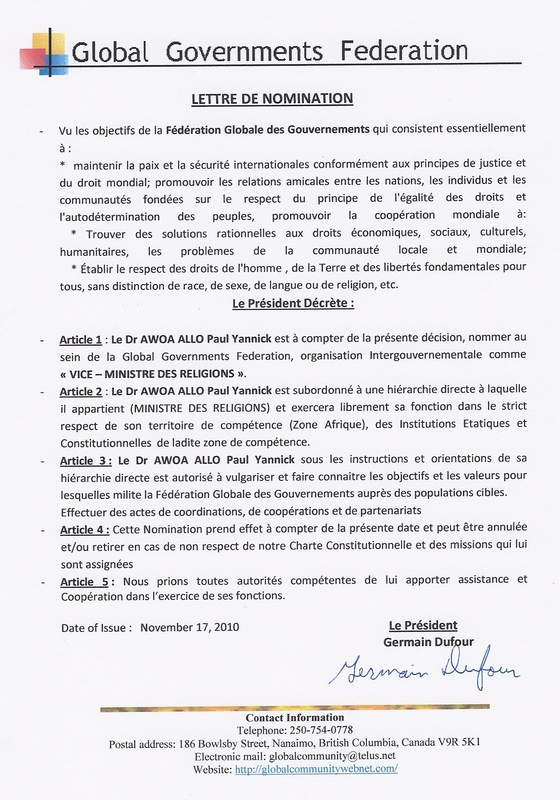 - MEMBRE DU BUREAU INTERNATIONAL DE LA PAIX AU CAMEROUN DANS LE CADRE DE l'UNAAEEC . 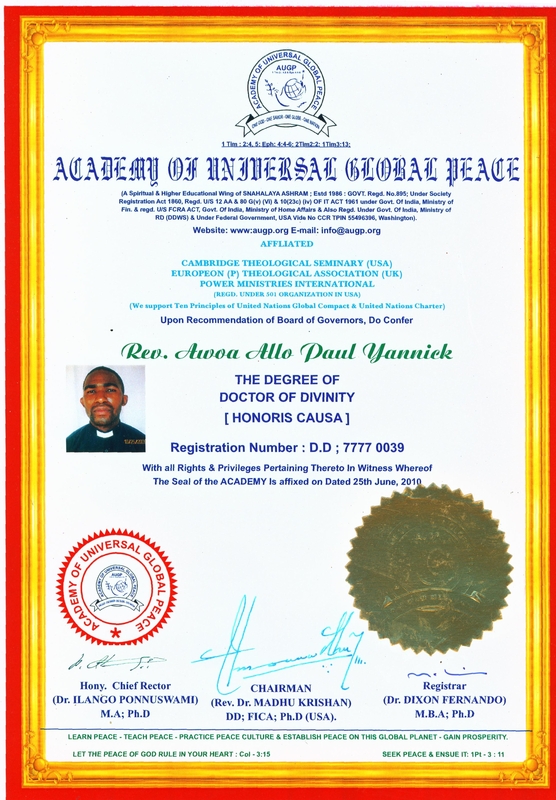 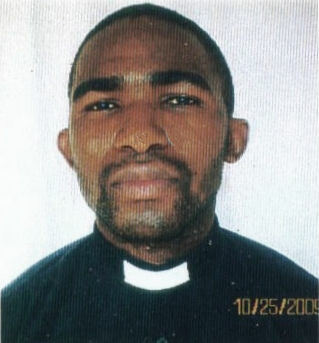 Rev.Dr.Awoa Allo Paul Yannick, Head of AUGP Mission Central African Republic Sub-region, for their dedications and passion to establish the Global Peace. 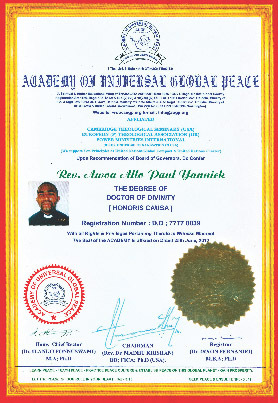 A dedicated AUGP Team of Trained Disciples of Each Batch of 70 under the dynamic Leadership of Rev.Dr.Awoa Allo Paul Yannick & Rev.Dr.Bilongo Bolo Christian Serge are sent to all directions in the North To South & East To West Of African Nations from the Central African Republic sub –region , fully Transformed & equipped with the Gospel of Peace (Rom:10:14,15, Jh: 14:27) to accomplish the Mission & Vision of AUGP to Establish Global Peace. 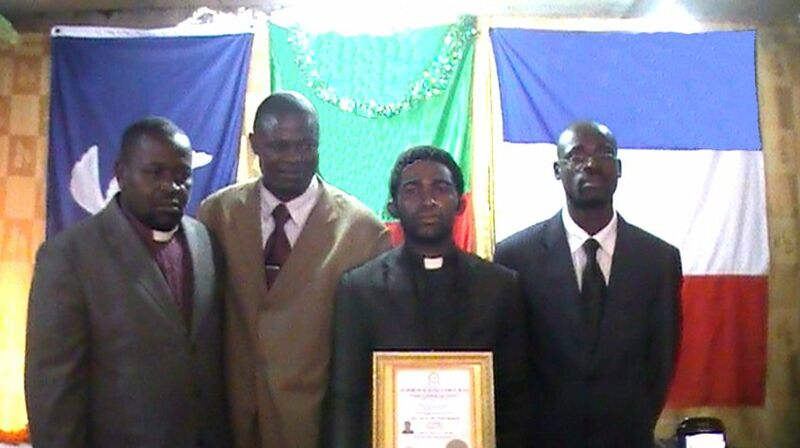 Dr. Madhu Krishan also appreciated their Excellent works specially for Transforming the Youths (the Future Generation) & to motivate them to become the Peace Ambassadors to build the Peace Loving, Peace living & Peace Practicing Cultured Community world wide .